Every software or technology I blog about usually goes through my home lab first. 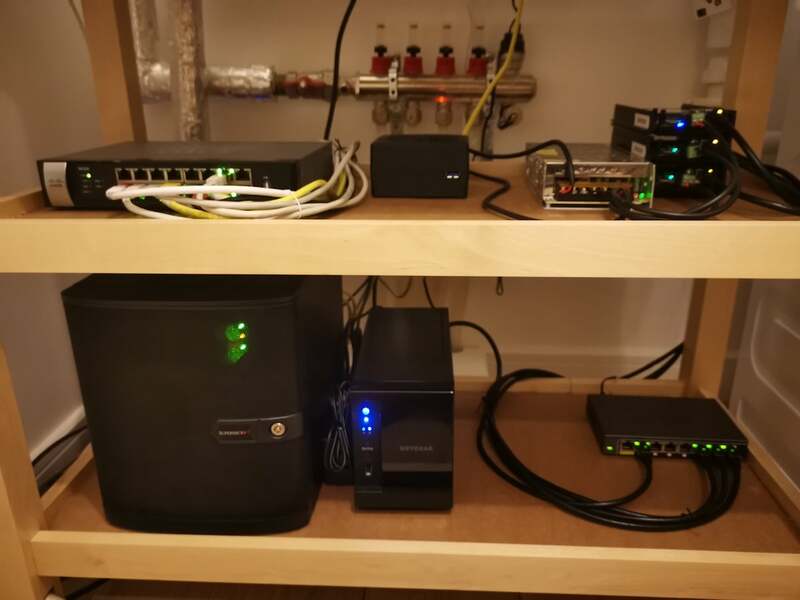 A lot of people usually got surprised when they first hear that I have a multi-node Kubernetes cluster at home. It usually takes some time to tell them about all the machines and networking. Of course, not accounting for the time spent answering the question “why do you need it”. I added a few new devices and reconfigured everything from scratch recently. I thought that it would be a good time to write up a blog post that I could just send during similar discussions. Apart from this, there is a Netgear NAS with 2x3Tb in RAID1 for long term backups which is not part of a k8s cluster. At the edge of the network, there is a Cisco rv325 router. I only got it a few days ago, but the plan is to replace my current PFSense VM with it. BT - router I got from the internet provider. It lives on a separate VLAN and does not have any access to the LAN. Pure internet access for guests. 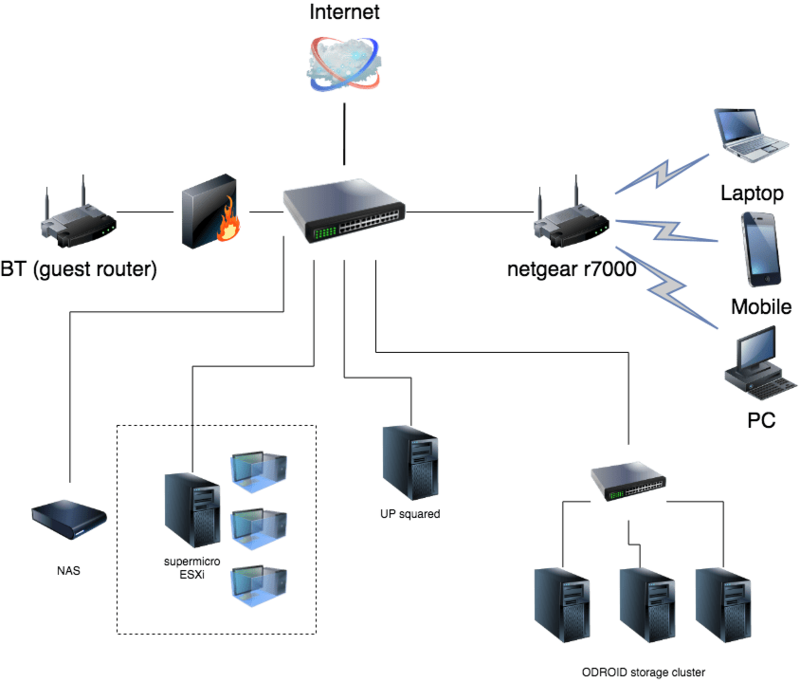 Netgear R7000 - primary wifi router connecting every device to the network. There is another small Netgear switch at the bottom used for a group of ODROID storage nodes. I’m planning on publishing another post about my experience provisioning multi-arch kubernetes cluster using kubespray. But for now, as usual, let me know if you have any questions.